Discussion in 'Face-Offs' started by keepitsimple, Sep 17, 2018. Welcome to the 4th installment of the Pokemon Anime Face-Off! 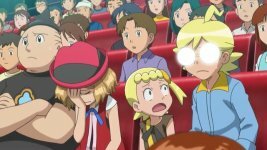 This is a thread where Face-Offs related to the Pokemon anime will be hosted. We host Face-Offs between the characters, episodes, seasons, battles and so on. Usually I'll host but other people can host their Face-Off ideas (or just make suggestions) here too as long as we're not playing more than one Face-Off at a time and you clearly state the rules and gameplay format. - No essays. I don't want my thread filling up with pointless debates anymore! The rules to whatever Face-Off we're currently playing will always be linked at the top of this post. Finally, I don't mind people talking about the show here. As long as you join in the game as well, the thread can also kind of serve as a chill thread to talk about the anime without a specific set topic. Add one point to one series and deduct a point from the other. When one runs out of points, it is eliminated. Ah, how satisfying to deliver the coup de grace. - You may nominate any Pokemon episode as long as it has been dubbed outside of Japan. - You may nominate up to four episodes max. - To promote some variety, a max of four episode from each series (OS, AG, DP, BW, XY, and SM) are allowed to be nominated. For example there already are four OS episodes nominated, you can't nominate anymore episode from that series. - In addition, while I won't enforce this, try to mix up your nominations from different series! Of course if only one series remains with no nominations, then go ahead and nominate some episodes for the series that got left in the dust. - Like the Western Cartoon Face-Off, you can only vote once every 12 hours. The first episode to win the round moves onto the next one. - Have fun! And hey who knows? Maybe the episodes nominated may pique your interest! So prepare to duke it out! Anyway here are my nominations! TheWanderingMist and keepitsimple like this. I'm biased toward Clair since she's my favorite Gym Leader. ooh i wanna get some nominations in! Sorry for not updating my post until now. All current nominations are now included! Nice! Now we just have two spots open for AG episodes, two spots for BW episodes, one spot left for an XY episode, and one left for an SM episode. We just need one more person to nominate 4 episodes and then I'll post my last two nominations and we can start! Maybe @Tsukuyomi56 or @Judge Mandolore Shepard will do some nominating? I think we all know which DP episodes aren't surviving unless you all band together against me. 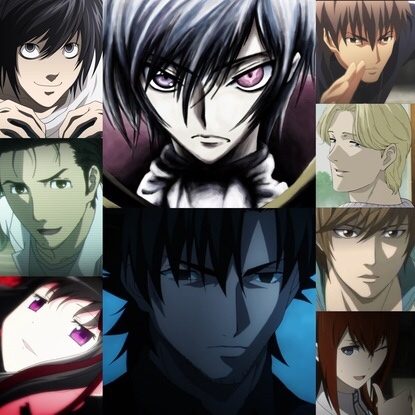 Maybe @Genaller is interested in nominating the last two episodes of the anime that will compete in the face-off? If not, I'll do it. Everyone's nominations are up to date! Genaller and keepitsimple like this.